St. John’s Winston Wells Ballfield, where modular classrooms are planned. Despite community concerns, modular classrooms will be placed on the Winston Wells Ball Field adjacent to the hurricane-damaged Julius E. Sprauve school. The location of modular classrooms was one of many education-related topics discussed at the St. John Long Term Recovery Team’s monthly meeting on Thursday at the Marketplace. St. John residents had the opportunity to ask questions directly to Education Commissioner Sharon McCollum and St. Thomas-St. John District Superintendent Dionne Wells-Hedrington, and if the audience didn’t always get the answers they were hoping for, they at least got the chance to hear the reasons for some of the decisions that have been made. For the 2018-19 school year, the Department of Education is committed to ending double sessions, in which students attend classes either in the mornings or afternoons, officials said. St. John’s one public school, the Julius E. Sprauve School, which serves grades K-8, went on double sessions in October when half of its classrooms were severely damaged by Hurricanes Irma and Maria. More than 50 percent of the school was rendered inoperable, including all the classrooms in Building A. Two auxiliary buildings, the Clarice Thomas Annex and Vocational Education Building, were essentially destroyed. Education Commissioner Sharon McCollum addresses the meeting on St. John. 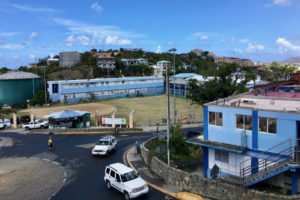 The Sprauve School on St. John, the Addelita Cancryn Jr. High School on St. Thomas, and the Arthur A. Richards Jr. Middle School on St. Croix all qualify for total rebuilds, which will take place over the next five years, McCollum said. In the meantime, the Winston Wells Ball Field is the best choice for locating most of the 24 modular units on order for St. John, according to McCollum. Some modular units will also be put on the site of the shuttered Guy Benjamin School in Coral Bay to accommodate after-school programs only. Although several alternate sites had been suggested at recent town hall meetings, the Department of Education is required to put the modular structures on public land, according to Wells-Hedrington. 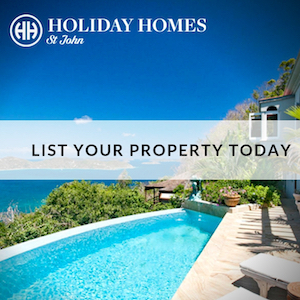 To be considered, a site must also have certain infrastructure in place, including plumbing and electricity. The Department of Education has signed a $118 million contract to purchase 240 modular classrooms and Sprung shelter units; McCollum asked the audience to go online to the Sprung company’s website to get a better sense of what they are like. 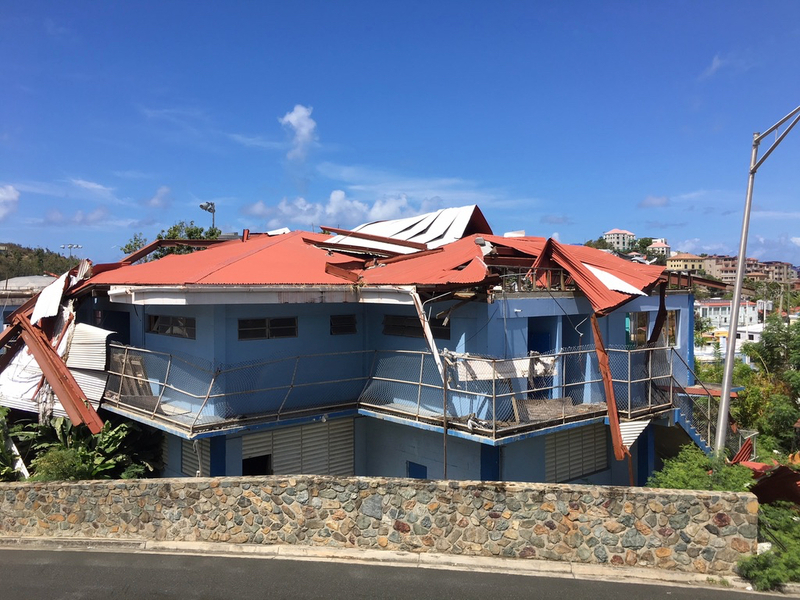 The Sprung shelters will be used to replace warehouses, gyms, and other major structures, including the St. Thomas Curriculum Center, that were severely damaged by the storms. The modular classrooms will arrive in two sections, that are put together on site. The first shipment of 80 units is set to arrive in July, “but I’m not going to give you a date,” McCollum said. When asked if the new units will include new furniture and equipment, McCollum said they would. 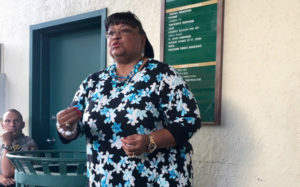 Although St. John community members have said they are glad to get the modular classrooms and end double sessions, they were dismayed by the Department of Education’s choice of location. Managed by the Department of Sports, Parks, and Recreation, the field adjacent to the school is routinely used for physical education classes and recreation programs as the school has no gym. After Hurricane Irma, the field became a landing site for helicopters bringing emergency responders and supplies. It held trailers and became FEMA’s main distribution site. The field is also used for many community activities, including Carnival events, concerts, softball tournaments, revival meetings, and fundraisers for community groups. St. Thomas-St. John District Superintendent Dionne Wells-Hedrington speaks to the audience. When someone asked about the DOE’s plan for athletics, Wells-Hedrington gave a long sigh before answering. She said a part of the field next to the school would remain open – enough to provide space for primary students to play. “We’re working on some memorandums of understanding,” said Wells-Hedrington in response to an audience member’s suggestion that students use the field near the Virgin Islands National Park headquarters. During the meeting, Wells-Hedrington reminded the audience that she was from St. John and always looked out for the island’s best interests. “Sprauve’s not the only field being taken for modular units. The inner part of Charlotte Amalie High School’s track will have modules,” she added. 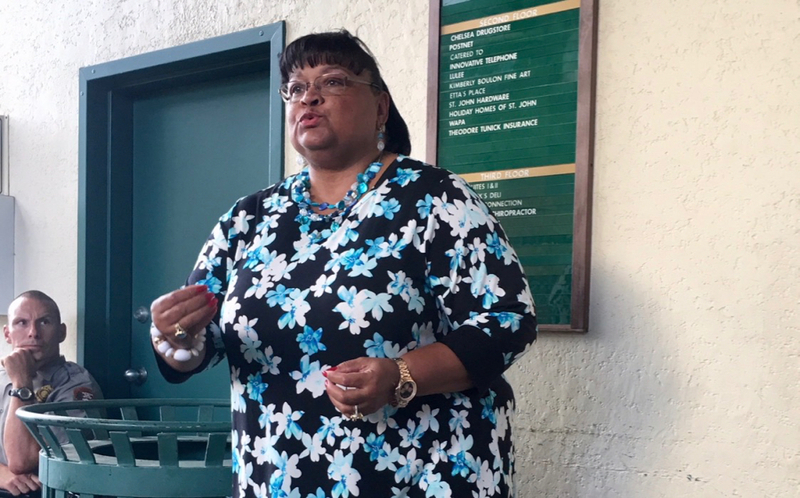 Plans for constructing a new school for St. John were the first subject brought up at the meeting, but Wells-Hedrington said the DOE has been focusing instead on ending double sessions. 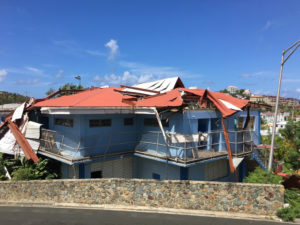 The Clarice Thomas Annex at St. John’s Sprauve School was destroyed by September’s hurricanes. McCollum also declined to discuss possible sites for a new school. Some members of the St. John community have advocated building a K-12 school on St. John, so students can avoid commuting by ferry to high schools on St. Thomas. In recent years, fewer than one hundred St. John students in grades 9-12 have commuted to attend public school on St. Thomas. She said students from Sprauve School had benefitted from the change made years ago to attend ninth grade at Ivanna Eudora Kean High School on St. Thomas. Considering limited resources, McCollum said, “Should we build and improve what’s at Kean, or should we duplicate [services on St. John?] I want the community to think about it,” McCollum said. Literacy for young children K-3 is also a priority, McCollum said. Contracts with the American Federation of Teachers do not allow teachers in one subject area to be paid more than teachers in any other subject, McCollum said. The DOE is looking for ways for skilled tradespeople to come and teach for one or two 90-minute blocks without violating union rules. She’s hoping that companies will agree to release their employees to teach vocational classes. 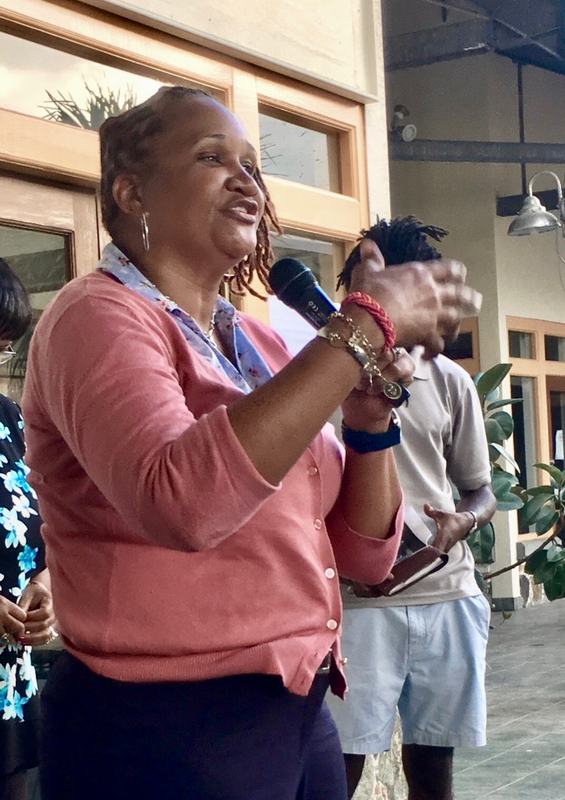 A member of the audience suggested that businesses might be willing to release employees to teach during two-week sessions, and students could benefit from exposure to the trades in a series of short sessions. McCollum said this model has been used successfully in middle schools, but that high school students require more intensive training to become qualified for the workplace. McCollum said the territory would like to expand programs in agriculture, marine industries, and media technology, and envisioned the development of magnet schools specializing in these areas which students could choose to attend. 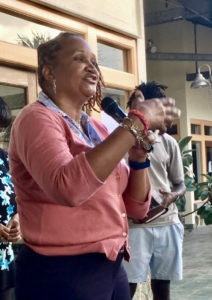 When someone asked, “How can we help,” McCollum said community members can provide affordable housing for teachers on St. John. The high cost of living and the low salaries for teachers has been a problem for years. The results are reflected in the fact that only three students graduated with degrees in education from the St. Thomas campus of the University of the Virgin Islands this spring. McCollum also suggested lobbying the Education Department in Washington to include the Virgin Islands as a place where teachers can qualify for “loan forgiveness.” In such programs, teachers can “pay off” student loans by teaching for several years in underserved areas. 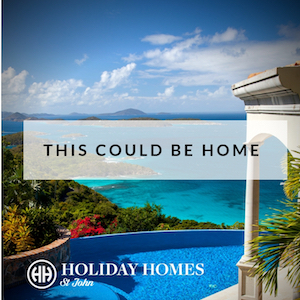 Shared content for Virgin Islands Source and St. John Tradewinds. Shade and fruit trees and the historical buildings of Little La Grange Village surround Nidulari’s idyllic location. It’s just one and a half miles from Fort Frederik. What began as a sourdough bread bakery turning out a few loaves in the wood fire brick oven each week for just over its first two years, has gradually mushroomed to four years of sweet and savory small baked bites, hearty sandwiches, and tasty meals.